This is a simple yet elegant recipe, almost the entire meal including par-cooking the lobster, preparing the slaw and chipotle aioli can be fixed ahead of time. For many of us culinary enthusiasts, we take great pleasure in constructing dishes that will be shared and enjoyed by friends and family. The mere smile or sigh of approval that the food meets expectations creates a feeling of satisfaction that makes all the gathering, prepping and preparing more than worthwhile. This ability to give a piece of yourself, and share just a bit of your life experiences, travels, and lessons learned through cooking has an uncanny way of creating lifelong memories of laughter, happiness and of course full bellies. I, now, not only get the pleasure to share my culinary outlook with my close friends and family but with you all as well. My hope is that you take with you a bit of inspiration and the desire to find your own happiness through cooking and sharing it with others. I recently had the opportunity, with the help from our friends at Aqua Best NYC , to experience the sought after Fourchu lobster. For those of you unfamiliar with this marvelous creature, it resides off the coast of Nova Scotia and is only harvested 10 weeks out of the year. It rivals the Maine lobster in aesthetics, but underneath the shell, awaits a far more full flavored lobster experience. 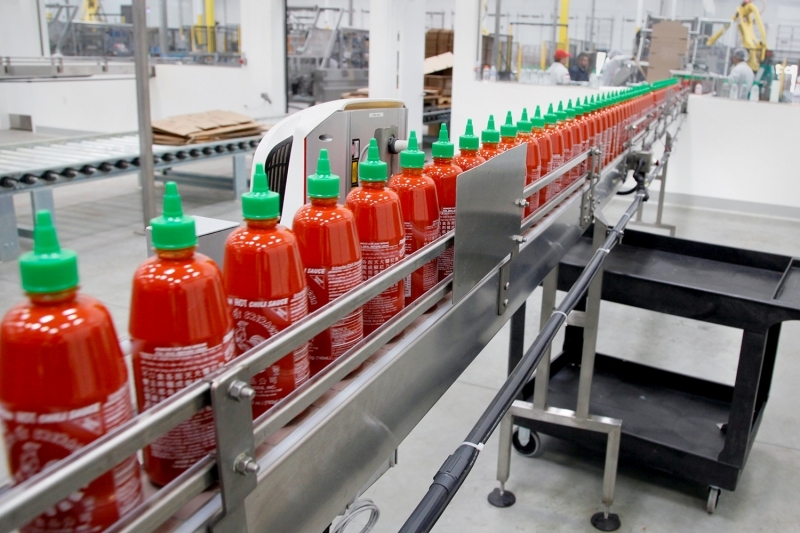 It has been debated that the flavor may be caused by cooler water temperatures, extending the typical maturation period and even possibly because of the minerals in the water. One thing is for sure: if you get a chance to try this marvelous crustacean, there should be no hesitation. Aqua Best’s seafood is a family-owned and operated business, serving the continental US, as well as international orders, since the early 1980’s. 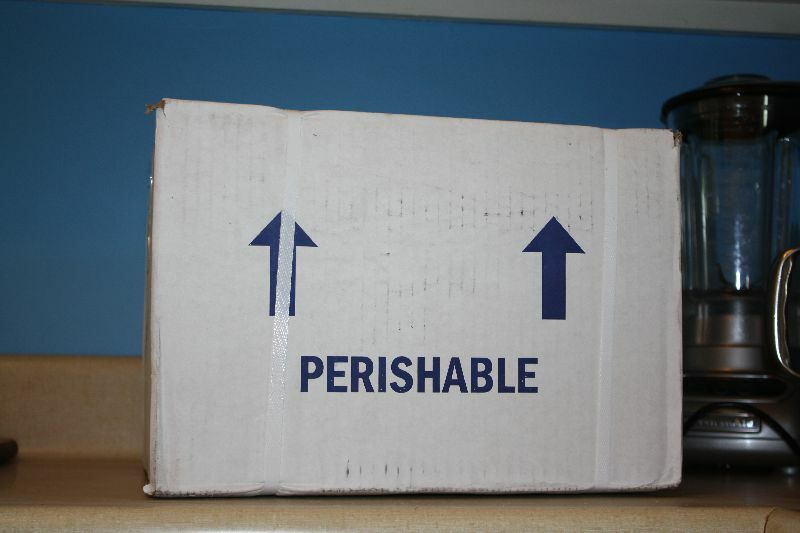 Their lobsters, along with an endless variety of other seafood options, can be purchased in almost any quantity and will be shipped live to your doorstep in a tightly sealed and insulated ice chest. 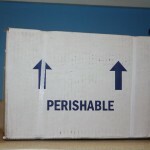 Your order is guaranteed to arrive fresh and ready for you to work your culinary magic. In the spirit of enjoying your company vs. cooking the entire time, I came up with this simple yet elegant recipe. Almost the entire meal including par-cooking the lobster, preparing the slaw and chipotle aioli can be fixed ahead of time. 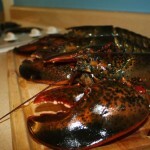 Live lobster is very simple to cook! I personally prefer to partially cook the meat, remove from shell and finish in a saute pan with butter, but this step is not necessary if you are pressed for time and you can fully cook and serve if you like. The advantage to parcooking is you get all of the hard work out of the way, and when your guests arrive, all you have to do is drop the meat in a pan and saute for 3 to 4 minutes. 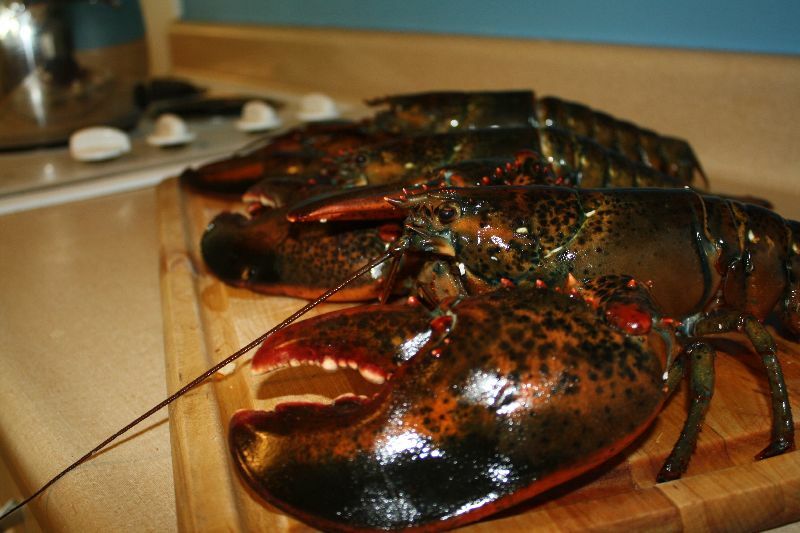 If you choose to fully cook the lobster the typical rule of thumb is 6 minutes per lb. so 12 minutes for a 2 lb lobster. Either way, use the largest stock pot you have and only the fill water 2/3 of the way to the top to leave room for the lobster. You can use just water or if you want to enhance the flavor feel free to throw in a sliced lemon, a few peppercorns and a few bay leaves. 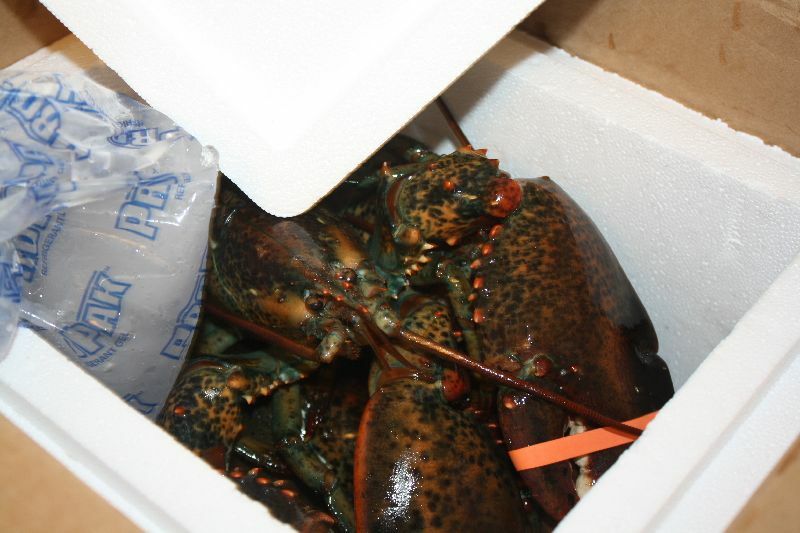 To parcook a 2lb lobster, boil for 7 minutes and immediately transfer to ice bath for rapid cooling. Once cool, you can break the lobster down, separate the meat and set aside for saute later. Now that the lobster is set lets work on the slaw. The jicama will need to be peeled and then sliced. The easiest method for slicing would be on a mandolin or large grater. If neither is available do your best to slice as thin as possible. Peel and slice the mango and shave the red onion all to similar lengths. Lastly, rough chop the 1/2 bunch of cilantro. Mix all ingredients in a bowl, add juice of half lemon and half lime, and tbsp of rice wine vinegar. Gently toss and season with salt and pepper to taste. This can be made several hours ahead of time and set in the fridge for the flavors to mingle. 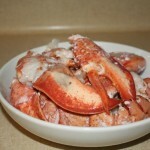 The chilled slaw will create a nice contrast to the warm lobster meat when put together. A true aioli is an emulsion of egg yolks and oil, and to make this fresh requires some time and preparation. A simple substitute is to use a light mayonnaise, which I recommend. Simply stir together all three ingredients and you are ready to go. You can store this in the fridge ahead of time as well. 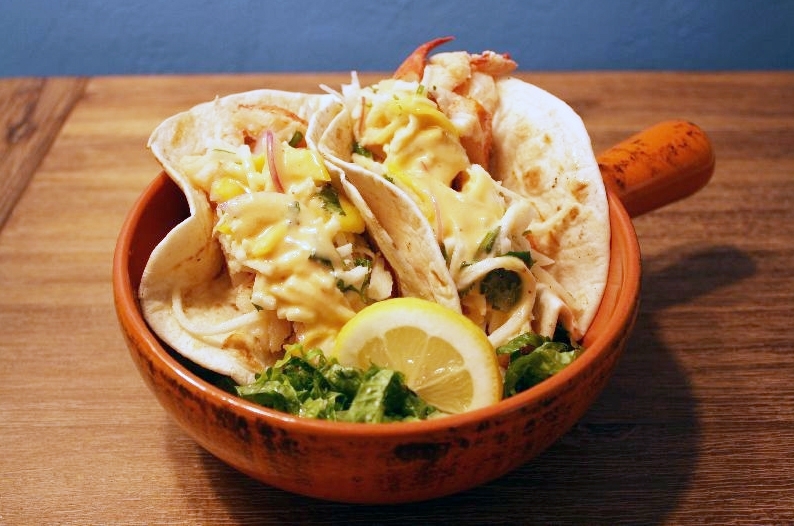 When your guests arrive remove the lobster meat and saute in butter for 3 to 4 minutes while heating the tortillas. 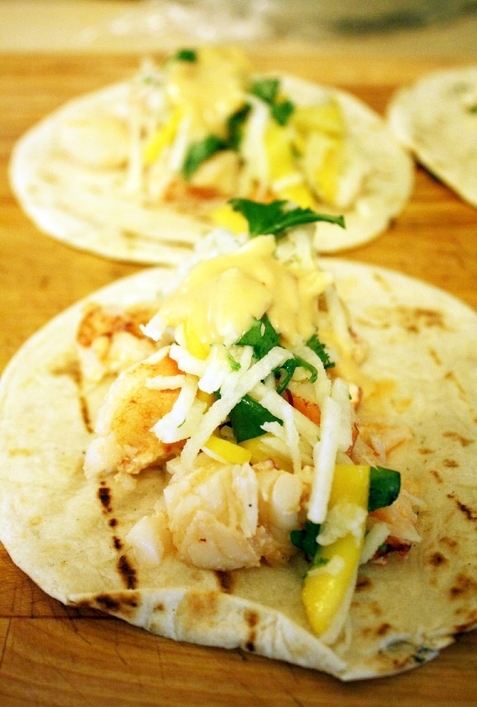 Evenly distribute the lobster among the tortillas, top with the jicama slaw and add a dollop of chipotle aioli to each. 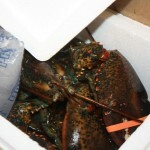 Check out Aqua Best NYC for all your Fourchu Lobster and seafood needs or visit them at www.aquabestNYC.com . LIFE’S SHORT – EAT WELL!